Hey, Ladies! This month is Women’s History Month. The significance of this month feels heavier because of the current tone in our country and with other parts of the world. While things have improved, the fight isn’t over in regards to unequal pay, reproductive rights, harassment and more. Still, we should celebrate the women who fought long and hard for women’s rights because the fight is never easy. You guys know I love movies so of course, I have some recommendations for you. In the past couple of years, there have been great movies about women and for women. All the movies listed here are either documentaries or films based on true events but who doesn’t love those kinds of films right? They highlight each of these famous women’s pain, success, and their inner strength to overcome each battle that came their way. Queen Latifah stars as the legendary blues singer Bessie Smith in the HBO film Bessie. The film takes an in-depth look into the singer’s struggles as a young girl into adulthood. Her story is remarkable and Queen Latifah shines in this role. For those who were not part of the loop when people were freaking out over Kerry Washington’s performance as Anita Hill in HBO’s flick Confirmation, now’s the time to get on board. Anita Hill accuses Supreme Court Justice Judge Clarence Thomas of sexual harassment during his confirmation hearing. This film goes into the ins and outs of this unforgettable controversy, specifically highlighting Hill’s strength throughout the whole ordeal. It’s worth watching. This stunning documentary follows the rise of Misty Copeland, who became the first black woman ever to become the soloist in the American Ballet Theatre. Watch as she takes on the dance world by force! She’s all #blackgirlmagic! 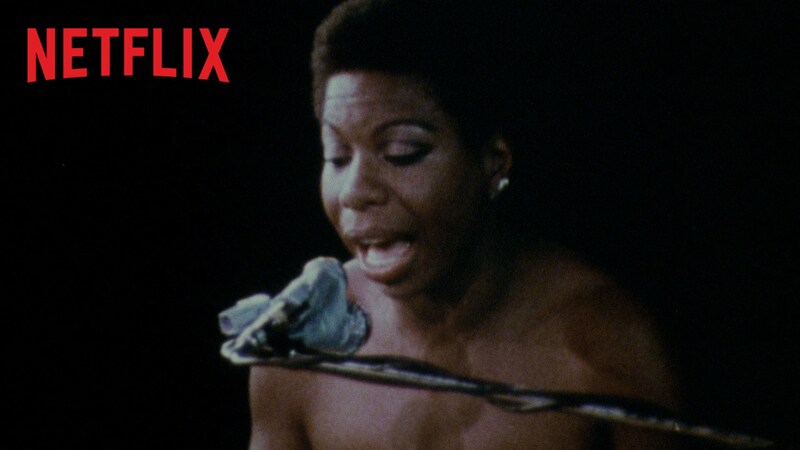 Every Nina Simone fan needs to watch this documentary this month while it is still available on Netflix. What Happened, Miss Simone? takes a look into the life of the Jazz musical icon using interviews from those who knew her and old archive footage. She’s Beautiful When She’s Angry is a film you want to see this month since this touches on the reason why this month exists- fighting for equal rights for all women. The movie looks back at the late 60s second wave feminist movement. The doc follows the lives of the activists who fought for equal rights, including black feminists like Linda Burnham, Denise Oliver-Velez, and Frances M. Beal. I hope you find each of these film inspiring. Celebrate and cherish other prominent females in your life, not just for this month but every day.